Everything which permeates and controls the lives of men is taken to task--romance, science, philosophy, and religion. 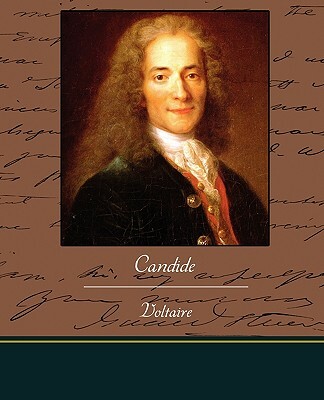 Naive Candide experiences a series of incredible adventures from which he rebounds maintaining his "sweet" countenance. Voltaire was a colorful figure in Paris in the time just before both France and America began turbulent revolutions for their freedom. Voltaire was a 17th century writer philosopher and supporter of social reform. He spoke openly in defense of civil liberties and freedom of religion. His satires often poked fun at the Catholic Church and other French institutions. Voltaire along with other authors of the Enlightenment period was influential in the American and French Revolutions. Voltaire was a prolific letter writer having written over 21,000 letters. As a young outspoken poet in Paris, Voltaire was often in trouble with the crown. Candide is a satire on the philosophy of optimism. Candide, a gentle and sensible young man, is witness to an unending string of evil disasters and personal calamities, all the while being told by his philosopher-teacher, Pangloss, that all is for the best in the best of possible worlds.